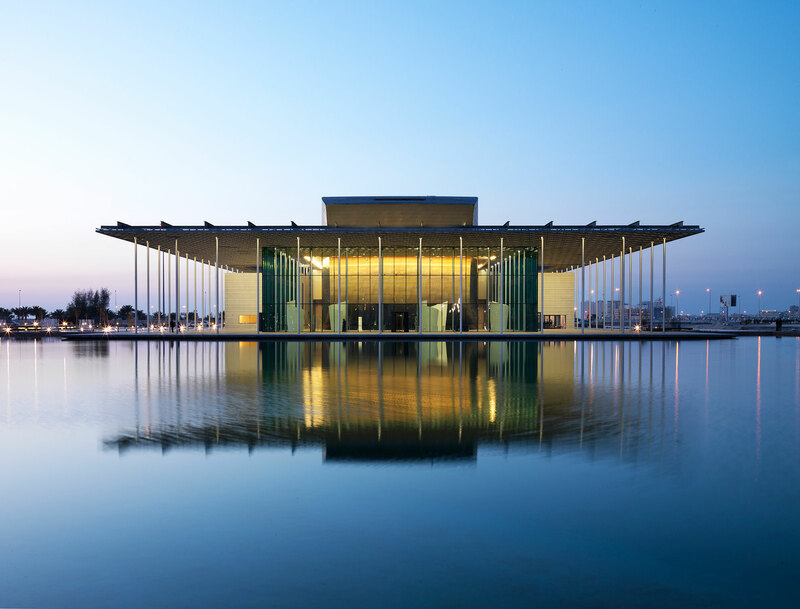 The National Theatre of Bahrain is a waterfront building complex situated in Manama next to the Bahrain National Museum, and consists of a main 1001-seat auditorium and a smaller 150-seat flexible studio theatre. The National Theatre opened on 12 November 2012 costing $50 million, the theatre encompasses an area of 11,869 square metres (127,760 sq ft) making it the third largest theatre in the Middle East. The theatre was designed by the French company Architecture-Studio, with Atkins serving as the local consultant. The building’s air-conditioning units had to be out of view of visitors for aesthetic reasons and a vent system had been designed that encompassed the entire perimeter of the building bringing cool air through hidden grilles between the glass. Airtech has undertaken the fabrication, supply and installation of the complete HVAC ductworks consisting of 10, 256 Square meters and aluminium cladding, fabrication and installation. Copyright AirTech 2019. All rights reserved.